A professional set of leads rated to 800 amp and 6 meters in length. 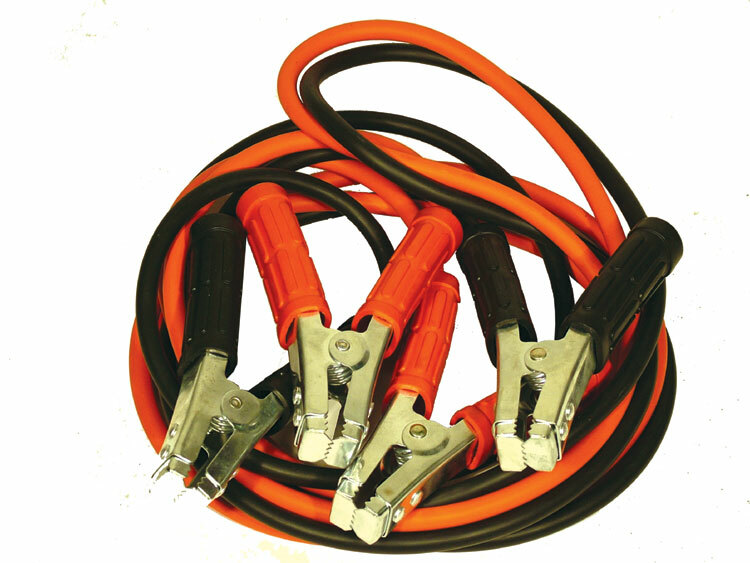 A heavy duty set of jump leads designed every day use for garages. With rating amps of 800 means these are capable of starting the largest of cars, vans and trucks. The leads will easily start 6, 12 and 24 volt applications. Being 6 meters long give tremendous flexibility especially when batteries or on opposites of each car. Great reach. Proper industrial rubber grips that are heavily sprung to ensure a tight solid grip on the battery terminal. The heavy gauge serrated teeth will ensure the grip stay on the terminal. The soft pliable cable makes the leads very easy to handle and will lay flat and run in a straight line. Tip: The best way to keep jump leads from tangling themselves toegther is to tape them together at 1 meter intervals with some pvc tape.